HONOLULU, Aug. 2, 2018 /PRNewswire/ -- Alexander & Baldwin (NYSE: ALEX) (A&B or Company) announced today it has named Francisco Gutierrez as senior vice president, development, effective Aug. 27. Gutierrez will lead all of A&B's real estate development activities and will report to Lance Parker, executive vice president and chief real estate officer. 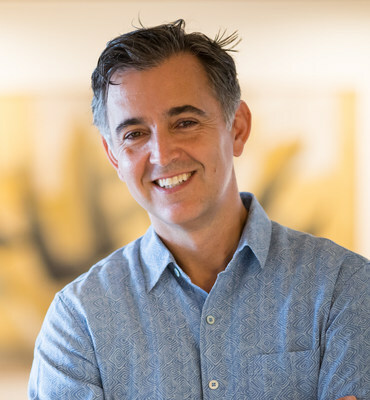 Gutierrez has more than 20 years of design and development experience and most recently served as senior director of development at GGP, one of the nation's largest owners, redevelopers and operators of retail properties. He led GGP's entitlement, zoning, regulatory and planning efforts for all of the company's Hawaii properties and its redevelopment of Stonestown Galleria in San Francisco. He also served as development director at Oliver McMillan, working on high-rise residential projects in downtown Honolulu. Prior to that, Gutierrez worked at The Mills Corporation in Washington, D.C., doing retail and mixed-use development, and as an architect at Gensler in Houston. Gutierrez received bachelor's degrees in architecture and environmental design and a master's degree in architecture from the University of Houston. He is the president of the Hawaii chapter of NAIOP (formerly the National Association of Industrial and Office Properties) and is an active board member of HomeAid Hawaii. "Francisco brings extensive experience in commercial development, having led some of the most prominent retail development projects in Hawaii. As a local resident, he also has a deep understanding of our state's retail markets and development climate. We believe he will be a strong addition as we continue our focus on our commercial real estate holdings in Hawaii," Parker said.